Serious flow yoga. With a smile. People start doing yoga for a million different reasons. 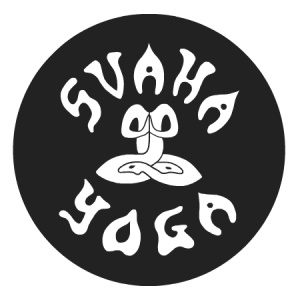 Whether you’re in it for the exercise, meeting new people or the spiritual side of yoga – you can find all this and more at Svaha Yoga. So if you’re looking for a groovy Vinyasa flow yoga studio in Amsterdam – look no further. With three different locations in town and daily classes in three intensities, you can be sure you can park your mat anytime. Or grab one of ours – they’re on us. We’ll even have a cup of tea ready after class. That’s not even all – the peace of mind that a little bit of meditation can bring, makes life a whole lot more enjoyable. And if you don’t leave with a smile for some reason, we’ll just send our team member “Princess” Moksie your way. A few cuddles from her and you’ll feel as happy as can be. Patrick and Gösta founded Svaha Yoga Amsterdam 15 years ago. They got hooked on a downward-dog high at the Jivamukti Yoga studio in Manhattan’s East Village. Back in Amsterdam, they created a home for many stray yogis and yoginis roaming the canals. They were the very first to offer Vinyasa yoga in Amsterdam, and they’ve been teasing and prodding people into the right position ever since. Why settle for flexibility if you can have it all? Yoga is more than just stretching and breathing. A yogi or yogini can traditionally follow four paths that each have a different focus and effect, yet are all very much yoga. Rather than focussing on just one path, we’d like you to experience the benefits of the full package. That’s why we incorporate all four paths of yoga into every class we teach. Hatha yoga is key in getting your body aligned and happy. 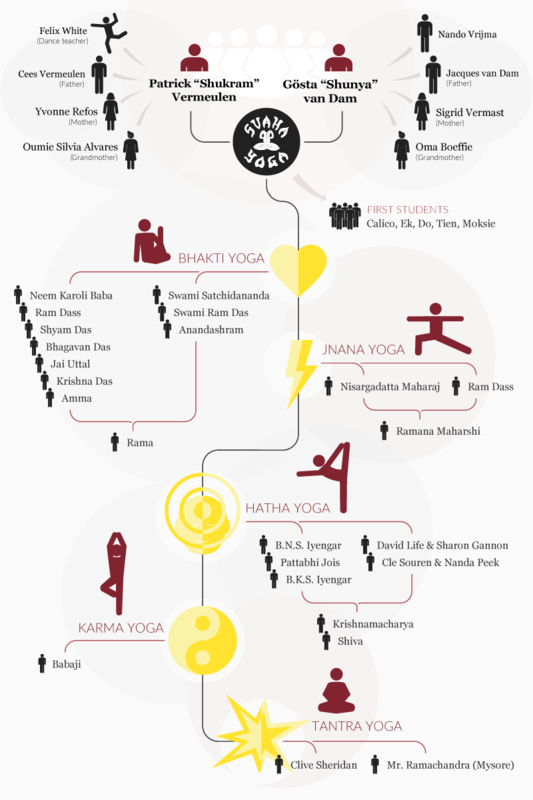 This path is probably the best known path of yoga in our tiny corner on earth. It mostly involves asanas (poses) and pranayama (breathwork). It doesn’t just focus your energy, Hatha yoga will make you sweat. Confession time. We chant – every class. Don’t worry though: we’re not a cult or sect. There’s just something about chanting with a group of people that works. Opinions are divided if it’s the vibrations of the chants, or making yourself heard. If you want to know more about Bhakti, you can always ask Patrick. What’s life without thinking? Yoga shouldn’t turn off your head, it should give you the focus of a superhero. The meditation, talks and discussing of yoga philosophy are intended to do just that. We have a focus of the month that we share with you in class and on our Tumblr blog to help you along. No stress – we won’t keep score of your ‘Karma points’ or anything. The Karma path is based on the concepts of action and reaction. The idea is that if you act consciously, true to your ratio and emotion, life will work itself out. We know… it sounds complicated. Feel free to ask Josie or Gösta if you want to know more. It’s been a wild ride that made Svaha Yoga Amsterdam what it is today. We’ve met some amazing people who’ve taught, helped and guided us along the way, and who’ve opened our minds and bodies to yoga. So here’s a tribute to our gurus, mentors and teachers.